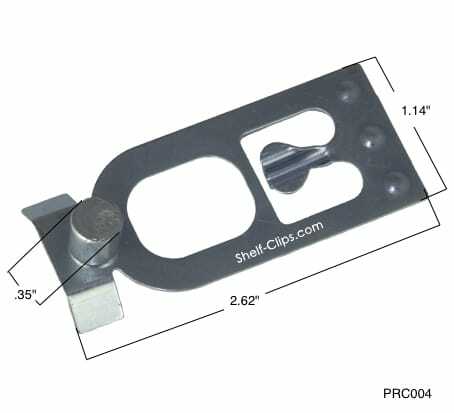 The Steel King safety clip connects to the cross beam beam to frame connector and engages in the pallet rack upright as the two are engaged. 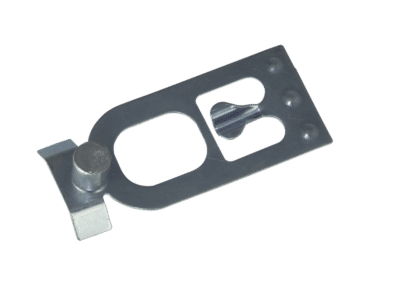 These clips help prevent beam disengagement and are required by the manufacturer. 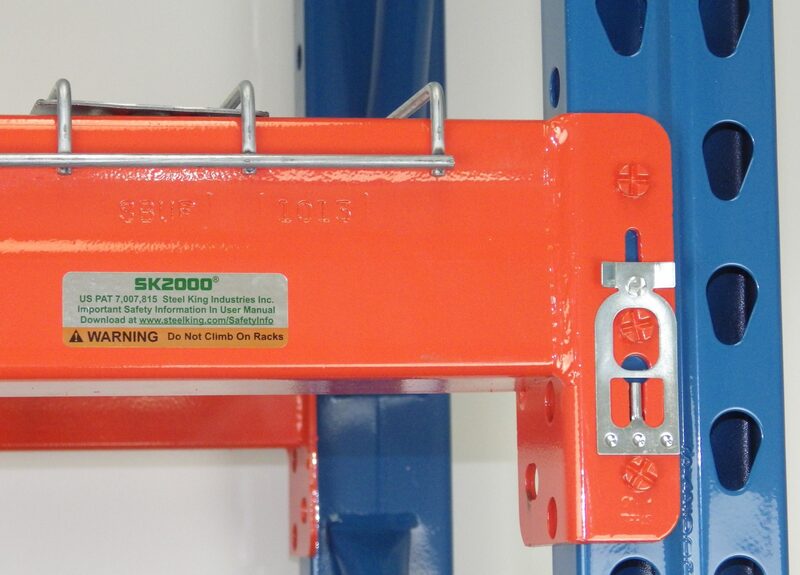 The clips work with the cross beam and upright frames in the SK2000 rack system design. 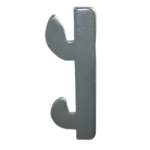 They are sold in boxes of 50 allowing for 25 beams to be safetly equipped with the clips. 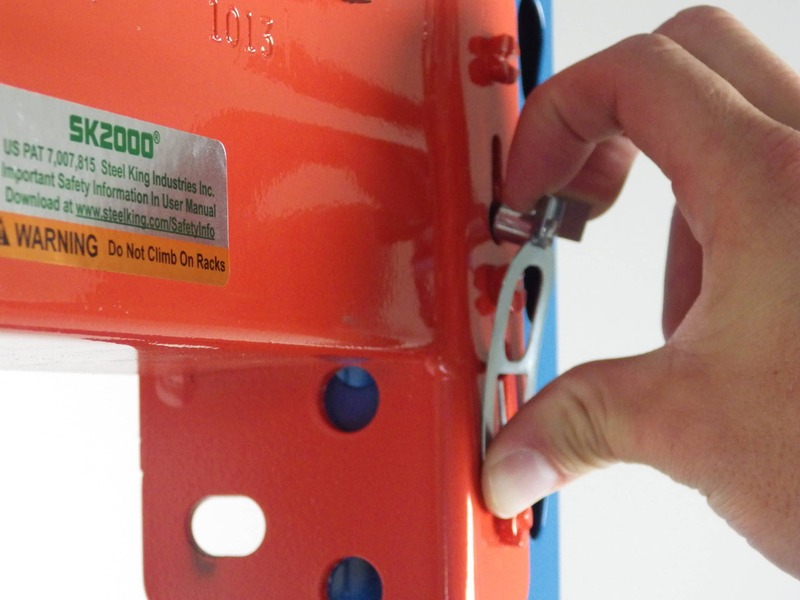 Each beam requires two safety clip, and installation is quick and easy. 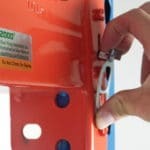 Will this Safety Clip Work with My Pallet Racking? 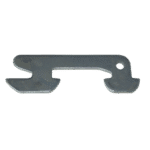 The PRC007 Steel King teardrop safety clip will work with any Steel King teardrop racking, as well as most other teardrop pallet rack brands. 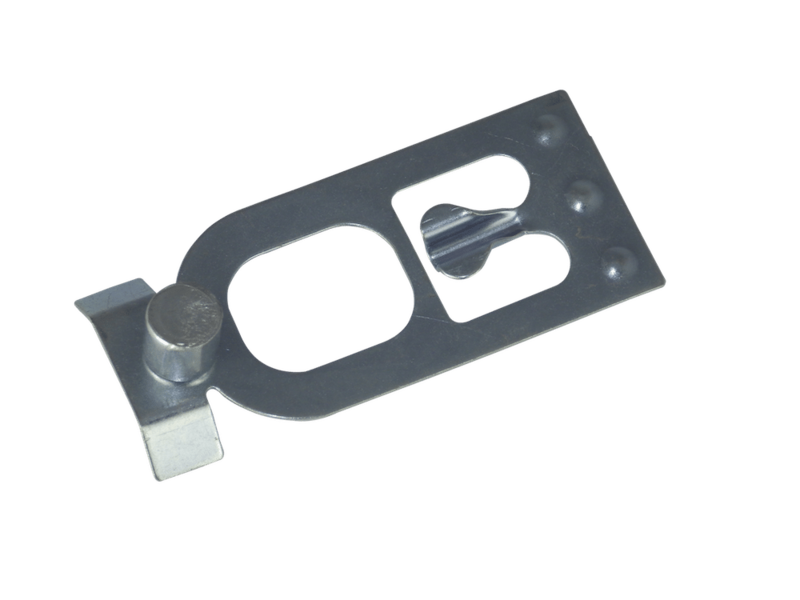 This clip is extremely secure, and once in place it’s not easily disengaged. 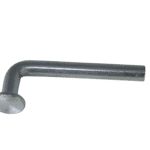 This is a benefit in terms of safety and reliability, but can be challenging for businesses that rearrange their racking frequently. 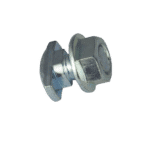 For those businesses, we often recommend the Universal Pallet Rack Drop Pin.